Results are in from a recent survey on B2B Lead Generation by the B2B Technology Marketing Community on LinkedIn (free report download here), and the numbers tell a disheartening story. 1. Marketing automation has yet to solve the reporting issue. Marketing automation has helped increase lead generation effectiveness by leaps and bounds, but campaign reporting is still a weak link. The functionality is there, but users aren’t taking advantage. (A recent survey on “marketing automation maturity” reported that only 58% of MA users report on revenue contribution.) When more than half of marketers still use lead volume (note: not even lead quality) as their primary measure of success, something is desperately wrong. 2. B2B marketers are focused on the short term, to their detriment. When marketers rate trade shows as their most effective lead generation tactic, it tells you that programs are being judged on volume and speed, i.e. 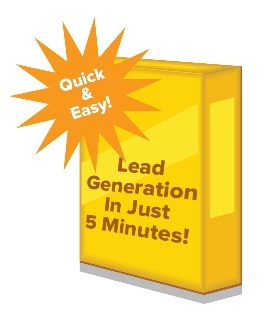 their ability to generate large quantities of leads in a short period of time. No wonder lead quality is such a pressing issue. Never mind that, over the long term and with the appropriate lead nurturing in place, other lead generation tactics (notably content marketing) are far more cost-effective. 3. Marketing is suffering from a knowledge gap. This entry was posted in B2B Marketing, Campaign Measurement, Demand Generation, Inbound marketing, lead generation, Lead Nurturing, Marketing Automation, Uncategorized and tagged b2b demand generation, B2B demand generation agency, b2b lead generation, b2b lead generation agency, B2B Marketing, Demand Generation, demand generation agency, lead generation on August 20, 2015 by Howard Sewell.